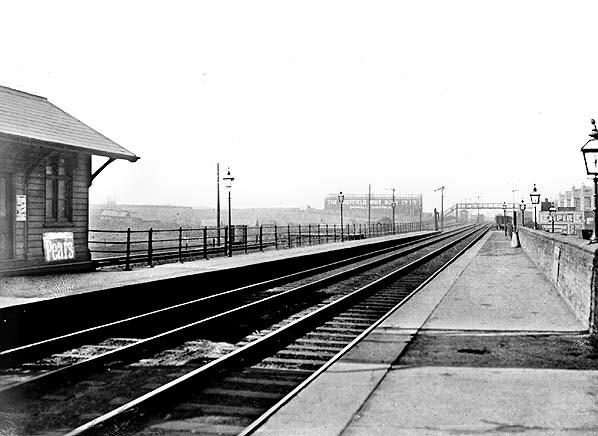 Notes: The Manchester Sheffield and Lincolnshire Railway opened its line from Sheffield (Bridgehouses) to Beighton (Midland) for passengers on the 12th February 1849 with an intermediate station at Darnall opening on the same date. 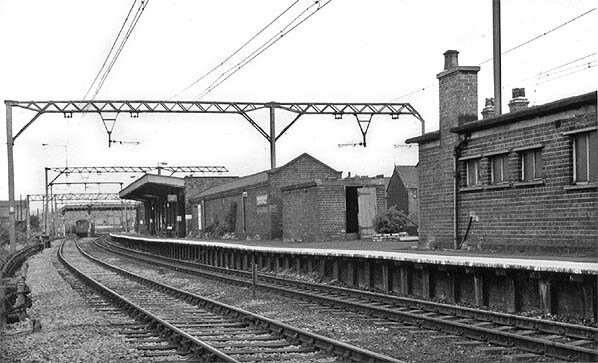 The station had two platforms flanking the main lines, the main station building, at the top of Station Road, on the Cleethorpes-bound side, had the usual facilities,while passengers on the Sheffield-bound platform had to make do with a waiting shelter. Widening took place in the area just prior to World War I and two freight lines were laid around the back of the platforms. This was to increase capacity of the line and aid the movement of coal traffic towards Immingham Docks, which opened in 1912. This work required the removal of Darnall tunnel about ¾ mile to the east of the station. The station was rebuilt in 1928 as an island platform, a design much favoured by the Great Central, as the M.S.& L.R. had become on the opening of its extension to London (Marylebone) in 1899. 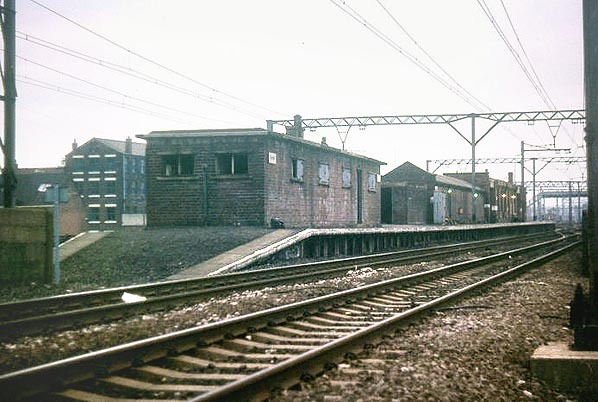 In this rebuild, the 'Up Goods" (in the direction of Cleethorpes) became the "Up" and "Down" main lines and served the platform faces; the original "Up Main" (in the direction of Cleethorpes) and the "Down Goods' (in the direction of Sheffield) became the 'Up Goods' and 'Down Goods' respectively. the Saturday only service linking Sheffield and Cleethorpes via Brigg. The station is now however a shadow of its former self with just a simple 'bus' shelter on its platform. Passenger numbers are low and rumours of closure keep regularly circulating, only time will tell. 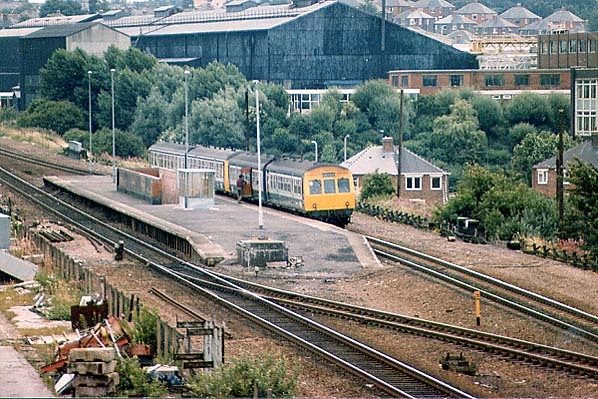 The new line was built from Annesley in Nottinghamshire to join the existing Metropolitan Railway which had now reached Quainton Road in Buckinghamshire, where the line became joint Met/GCR owned (after 1903), it returned to GCR metals near Finchley Road for the final section into Marylebone. In 1903, new rails were laid parallel to the Metropolitan Railway from Harrow to the junction north of Finchley Road, enabling more traffic to use Marylebone. Although the new line had now reached London, Edward Watkin was unable to fulfil his ambition as he was forced to retire through ill health.From the outset, the line had to compete with established north – south routes and the first train only carried a disappointing four passengers so the company had to work hard to win passengers from its rivals; with a well managed Advertising campaign and the introduction of a fast and efficient train service the companies fortunes slowly improved although it was never a match for its rival lines. Selected further reading: Great Central Memories by John MC Healey published 1987 by Baton Transport ISBN 0 85936 193 4 - heavily illustrated history of the London Extension. Great Central Then and Now by Mac Hawkins - published (2nd edition) by BCA 1992 ISBN 0 7153 9326 X , station by station photographic survey of the Great Central between Sheffield and London with numerous 'then and now' photographs. See also Sheepbridge & Brimington Station and construction of the Manchester, Sheffield and Lincolnshire Railway through Brimington by Philip Cousins. Published in St. Michael & All Saints, Brimington parish magazine. (Click here for full text). All tickets from Michael Stewart. Route map drawn by Alan Young.